Idaho is well known for its miles of open land and massive rural areas. While the state certainly boasts its share of open terrain, there is much more to it than meets the eye. With hundreds of miles of whitewater rafting and an updated mountain biking system, Idaho has a lot more to offer than most assume. The real estate market is just as diverse. Idaho has everything from major resort towns like Sun Valley to smaller cities like Idaho Falls. The Idaho Falls housing market, in particular, is on the rise and poised to take off in the coming months. According to Realtor.com, the current average home price in the Idaho Falls housing market is $165,400. Nonetheless, the average home price in Idaho Falls is less than both the statewide and national home price averages. The average price for a home in Idaho is $172,229. The national average, on the other hand, is $205,790. Idaho Falls real estate has only seen a slight increase from last year, which – believe it or not – is similar to two years ago. One of the reasons that home prices have not shot up is because they did not have as far to rise. The foreclosure crisis did not hit the Idaho Falls housing market as hard as it did others. While most of the country was playing catch up with home prices and values, Idaho Falls real estate has remained on a slow, steady climb upwards. Since the end of 2013, homes in the Idaho Falls housing market have appreciated by as much as 23 percent. A steady climb has been seen for nearly 18 months. Zillow estimates that values will increase by 6.6 percent in the next year. The increase would make it 28 consecutive months of price and equity gains. 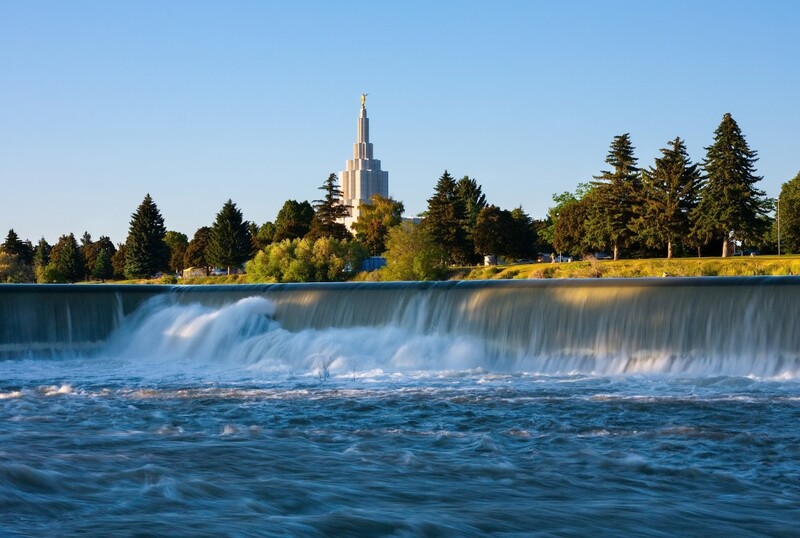 With growth on the horizon, Idaho Falls real estate investing should see a lot of activity. Idaho Falls has been able to avoid a foreclosure crisis and flourish due, in large part, to great unemployment numbers. The current unemployment rate is 3.9 percent, which is well below the national average. The downtown area is expanding and has a growing retail, entertainment and restaurant sector that continues to add jobs and boost the economy. The median household income for Idaho Falls is on par with the national average ($52,000), and higher than the statewide average. This local income level boots the amount of local affordability. Affordability is one of the chief areas of focus for almost any homebuyer. With a stable economy, increased job growth, low unemployment and a high level of affordability, Idaho Falls real estate is more than desirable. Data presented by Realtytrac indicates that there are 150 properties currently in some stage of foreclosure. Up a surprising 300 percent since last year, auction foreclosures now make up about 57.1 percent of the distressed property market. Bank-owned foreclosures make up the remaining 42.9 percent. Each scenario, however, looks to benefit the Idaho Falls real estate investing community. These homes should offer great spreads for smart investors that know where to find them. After a robust increase in new housing permits, 2015 has seen a slight decline. In 2013, there were 194 new housing permits for the Idaho Falls real estate market. This was the highest number of permits in the last six years. After such an increase, a reduction the following year is to be expected. This doesn’t mean the market has lost confidence, but that is needs to clear out current inventory. If you take the average number of new permits for the last two years, it is higher than any two years since before the market collapse. According to Trulia, the average list price for the Idaho Falls housing market has risen in the last 30 days. The 4 percent increase is modest, but it does indicate that fewer foreclosures are weighing the market down and demand is rising. Some of the most popular zip codes, in terms of activity over the last 30 days, were 83401, 83404, 83402 and 83406. The biggest price movers during this period were 83401 and 83406. While list prices have increased, the total number of listings is on the decline. In less than 30 days,, this number has dropped close to 13 percent. This could be a short term blip for the market, or could indicate that last year’s new home inventory needs to be replaced. In recent years, Idaho Falls was named by Business Week as one of the best places to raise kids. For this reason alone, Idaho Falls real estate investing should see an increase in interest. Such an acknowledgement makes the area very desirable. With the market projected to grow at a rate of 6.6 percent in the next year, it would appear that the time to buy is now. Average list prices are up, unemployment is down and foreclosures are minimal. Median income is above the statewide average and rental rates are on the decline. More renters are looking to buy now than at any time in recent years. With the increase in inventory, buyers have their pick of homes currently on the market. All of these trends point to a pronounced recovery for the next twelve months and beyond.